The content of our miniwing beginner course , follows the recommendations of the FFVL (French Federation of Free Flight) concerning the teaching of this activity. To be as efficient as possible, our beginner courses are conducted in small groups (4 people max). Our miniwing beginner course includes practical instruction with, in the same time a theoretical instruction. We also offer you to do one or more educational tandem flight with a program tailored to your progress. Our miniwing courses begin with one or several sessions on a training slope until you master the art of inflating the canopy and the take-off. Then, a phase of ” small flights “, the objective is to realize a maximum of take-off and landing. This phase is essential for a good learning of the miniwing’s basics. There is nothing more fun that to begin a flight with a perfectly mastered take-off. For the theory part, we focus on the specific behaviour of the miniwings in terms of flight mechanics and ability. We also teach a lot about the management of the flight plan and approach. The pedagogical tandem flights help to ensure that the flight plan is well understood, we also teach some technical knowledge directly in the sky ( the best place to be taught to fly). It is also a big help to be mentally ready for the first flights on your own. Finally come the big flights! 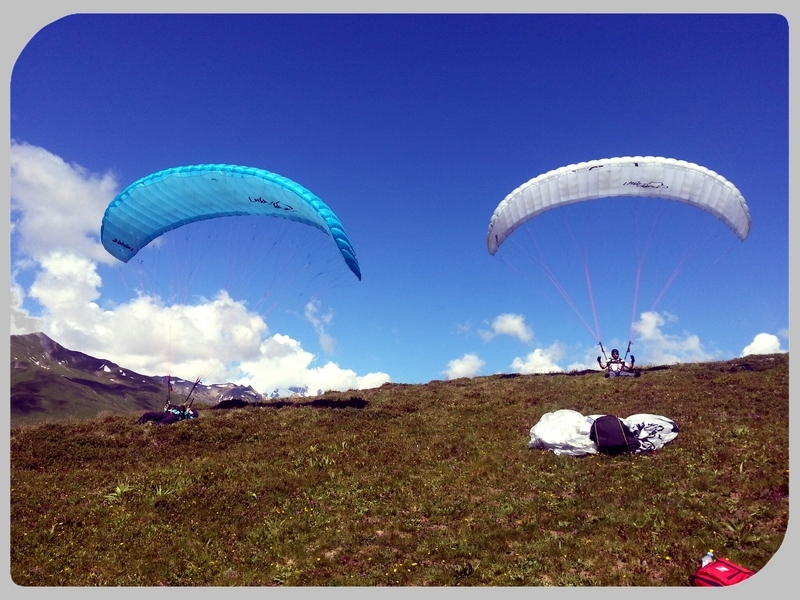 We have here in Tarentaise, several flying sites with more than 1000m top to bottom! Here the experience of flying is magic! Our playground is perfect to learn the use of miniwing! Then please fill the registration form. You can also call us at the 00336 19 51 39 34 or through our contact form.